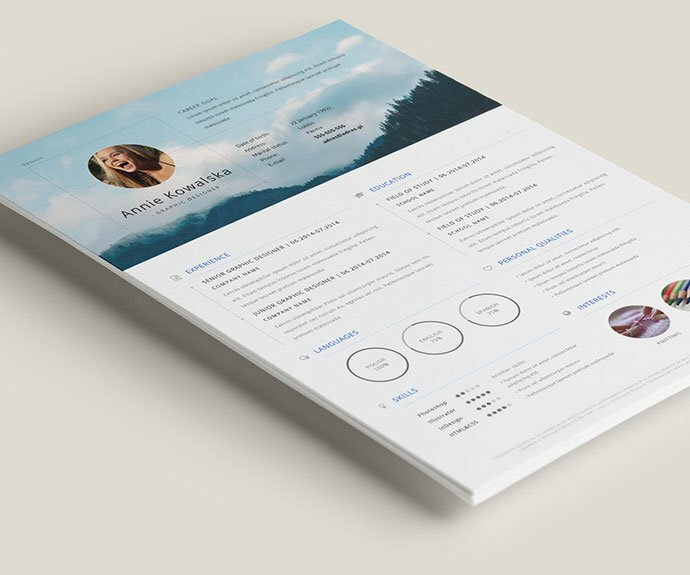 You need a polished, tailored resume for any job, right? But a roommate resume? Craziness, I thought. But not for this guy. 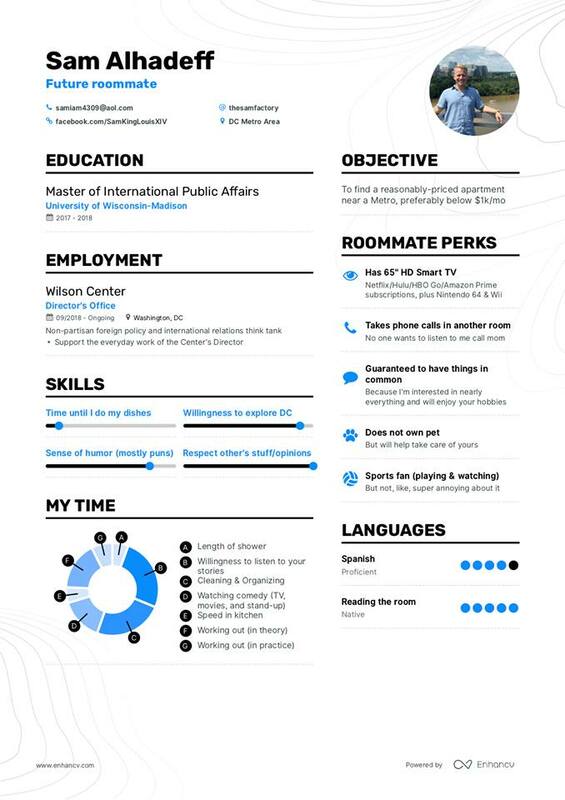 A recent University of Wisconsin graduate looking to move to Washington, D.C., actually created a roommate resume. It’s so "D.C." I could cry. It’s also perfect, and I wish we’d thought of doing something like this much sooner. Sam Alhadeff is not only clever, but also knows the importance of a first impression. I mean, just look at this engaging, colorful resume in the image below. He’s certainly grabbed my attention. He’s got an objective, and he's listed roommate perks. Roommate perks! And the graphs. I just can’t get over this level of organization. Again, why didn’t we think of this sooner? Nobody wants to play the Craigslist game, trying to figure out if the person who may move into the room next door will make your life a living hell. Nobody, I tell you. It’s so much better and more convenient for everyone to know what you’re getting into upfront. Sam said that he found the roommate search overwhelming, and as young millennials in an urban environment, we’re all used to representing our personal brand and background to various employers. So, why not extend that to the people we live with? His roommate resume post has been met with tons of positive feedback: “the post has over 1,000 likes in Washington, D.C., Housing, Rooms, Apartments, Sublets and is littered with comments about how cool he is.” But he’s taking his time -- because he wants to make sure the person he’s living with is a good fit for him, too. My suggestion? Have that guy make a roommate resume, as well. And since we’re on this topic, why not expand this resume thing to dating? It might make everything a bit clearer. What are your thoughts? If you had a roommate resume, what would it say? Share with us in the comments below! D.C. rats just took their game to a new level. This one pulled a fire alarm.